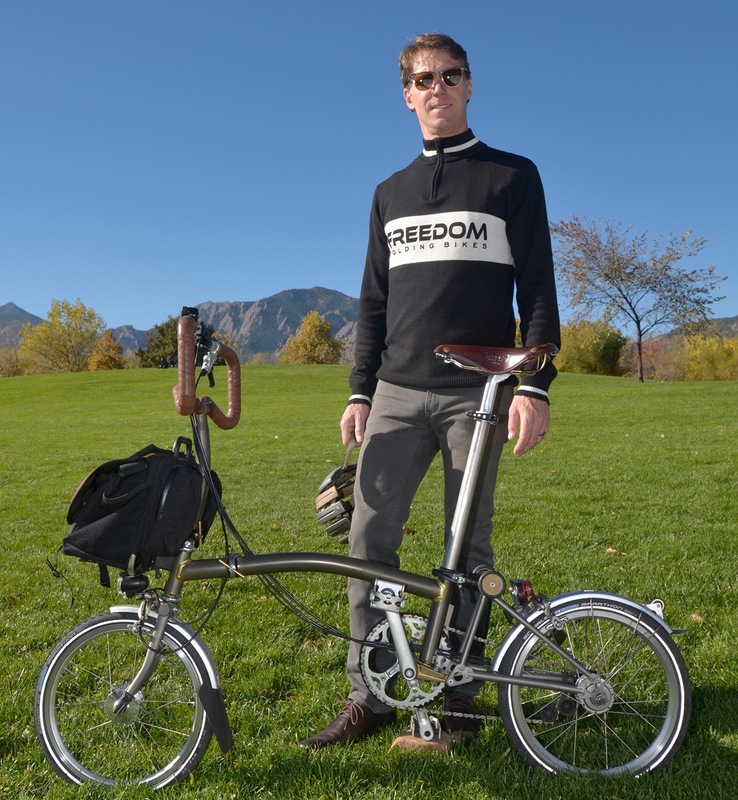 Freedom Folding Bikes, through Chuck, the owner, is on a mission to help you reduce your dependence on the automobile and improve your quality of life. We operate a full service retail shop in Boulder, Colorado selling bikes, both electric and non-electric, that are easy to live with and that can simplify your life. We sell bikes and accessories that are especially suited for travel, commuting and adventure. If you are traveling, take your bike with you - It is often the best way to explore a new city, or even one you think you know well. If you need to commute to work, there are usually options to do so by bike. We can help you make that transition. Chuck has been a full time bicycle commuter since 1993 both here in Colorado and prior to that in Minneapolis so he understands the importance of being prepared. He believes that there is no such thing as bad weather, just bad gear. If you are looking for adventure, the bicycle offers myriad possibilities. We believe that the best bike in the world is the one you have with you! We have spent years identifying and evaluating the right tools for the job so you won't have to. Chuck commutes between Boulder and his home in Longmont most days by bicycle, logging on average 7,000 - 9,000 miles per year. He competes on the local Cyclocross circuit in the fall and enjoys traveling with his bike whenever possible.